Easy grilling recipes for chicken, beef, brats, and vegetables! Labor Day Weekend is right around the corner – and with it comes the grilling and cookouts. What better time to entertain on your deck or patio? The team at Archadeck of Chicagoland loves spending time in the backyard with our friends and family, especially when it gives us an excuse to fire up the grill! We’ve rounded up some easy and delicious Labor Day grilling recipes for you. Find your favorite recipes and wow your friends with your spectacular grilling skills! 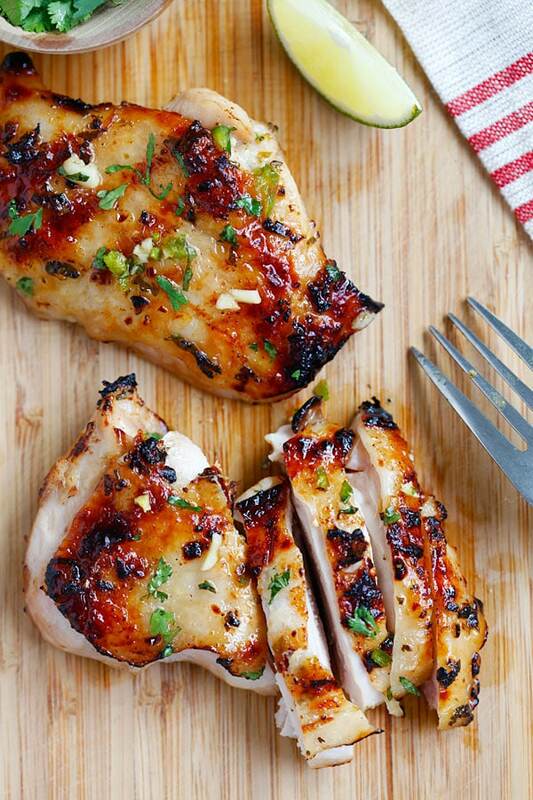 Full of flavor with a hint of spicy – this juicy chicken recipe is a guaranteed crowd pleaser! Celebrate warm spring weather with our collection of Top 10 Grilling Recipes! The weather in Chicagoland is finally turning warm. What better way to celebrate the coming of warmer spring temps than by firing up the grill and enjoying delicious, flavorful food with your friends and family! Come share in the excitement of our Spring Launch at the local Chicagoland Home Shows! Last month Archadeck of Chicagoland announced the debut of Casuwel, a new outdoor furniture line. Come share in the excitement of our Spring Launch at the local Chicagoland Home Shows! Come see our outdoor furniture display at one of the local home shows and experience the beauty and comfort for yourself. If you’re looking for a deal, we are offering a complimentary Luminary with the sets and a $250 discount if you make a purchase at the show. Casuwel features four collections of beautifully rich weaves, dozens of famous Sunbrella® fabrics, and stunning luminous accents. We are pleased to announce Outdoor Living Brands is debuting a new furniture line – Casuwel. Casuwel features four high quality collections of beautifully rich weaves, dozens of famous Sunbrella® fabrics, and stunning luminous accents. Meticulously handcrafted to meet our exacting standards, Casuwel assures maximum longevity, performance, and comfort in the most demanding of outdoor climates. Archadeck of Chicagoland is offering preferred pricing with a 10% – 15% discount. Call today to speak with a Design Consultant at (847) 749-2373. Crisp, clean, sweeping lines accentuate this beautifully rich collection, as welcome and refreshing as a fresh ocean breeze. As seen in and around the finest ocean side homes and cottages in the Carolinas, this cozy collection is as stunning as it is comfortable. Substantially proportioned for comfort and high style in a classic, time-honored sophisticated style. Our bestselling line, featuring beautifully paired suites for entertaining, conversation and dining, to complement an outdoor or indoor décor. Our exclusive Casuwel furniture cushions and decorator pillows come in your choice of select Sunbrella® outdoor fabrics. Decorator square pillows come in both 20-inch and 24-inch sizes. What better way to complete your outdoor décor than with the finest outdoor rugs available anywhere, in a host of colorful designs and the most requested sizes. Have it made in the shade with your choice of shape, style, and color with our wonderful assortment of 9-foot round, 11-foot round, rectangular and cantilever umbrellas to choose from. Our newest addition to the Casuwel line of outdoor furniture and accessories, these exquisitely innovative contemporary light forms will add just the right amount of ambient light for evening outdoor conversations. Impeccable delivery, unpacking, placement and packaging removal. If you’re interested in viewing furniture or placing an order, please contact Archadeck of Chicagoland at (847) 749-2373.